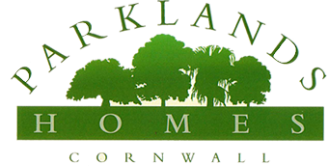 A very warm and friendly welcome awaits you at ’Parklands Homes’ in Cornwall. Stuart & Heather Berryman provide a relaxed and tranquil environment in which to live. They take pride in the parks appearance and are continually upgrading with new properties being added when older properties reach the end of their useful life. Eastern Green Mobile Home Park is just 400 yards away from the seafront at Penzance, 3 miles from the popular fishing port of Newlyn and two miles from the beautiful St Michaels Mount. It is a level site with 89 homes and benefits from a ’Tesco’ store being adjacent to the site entrance. Penzance Town Centre is about 1 mile away. Very regular bus service approx 200 yards from the park. The Park is gradually being upgraded with new properties added when plots become vacant. Penzance is a popular shopping centre with out of town shopping close to the Park including Morrisons, B&Q, Currys. Large number of pubs, restaurants within easy distance. Regular ferries from Penzance and flights from lands End to The Isles of Scilly. Main line rail station to Paddington and beyond. Weekly refuse and re-cycling collections on the park. Pedna Carne Mobile Home Park, Higher Fraddon, St Columb, TR9 6LF Our Sister park at Pedna Carne in St Columb, Cornwall is a residential retirement park with 94 homes including an exclusive development of 20 brand new luxury homes nestled in the heart of the Cornish Countryside. The park is just 5 miles away from the 'Eden Project', 8 miles from Newquay and 12 miles away from the Cathedral town of Truro. It is an elevated Park and boasts panoramic views to the coast. It is level with a modern road network. Residents 45+ visiting children welcome. 2 acceptable pets per home maximum - to be agreed with site owners. To find out more about this park and the new development, just visit www.lifestyleparks.com for more details. The Village of Fraddon is approximately 2 miles away and has a Post Office, Co-op and Spar supermarket, Doctors surgery, hairdressers, Vetinary practice, pet food shop, fish and chip shop, Chinese restaurant, 2 public houses and 2 petrol stations. About 1/2 mile from the park is Kingsley Village - an out of town shopping complex offering gifts, clothing in Next and cafe/restaurant. 2 bus services serve the park Mon to Friday to Truro and Tues and Fri to Bodmin and Trago Mills - a large out of town shoping complex. Weekly refuse and separate re-cycling collections. Mobile library calls each month. It offers a wonderful community environment benefitting from an on site community centre with weekly coffee mornings, weekly church service and other regular social events.